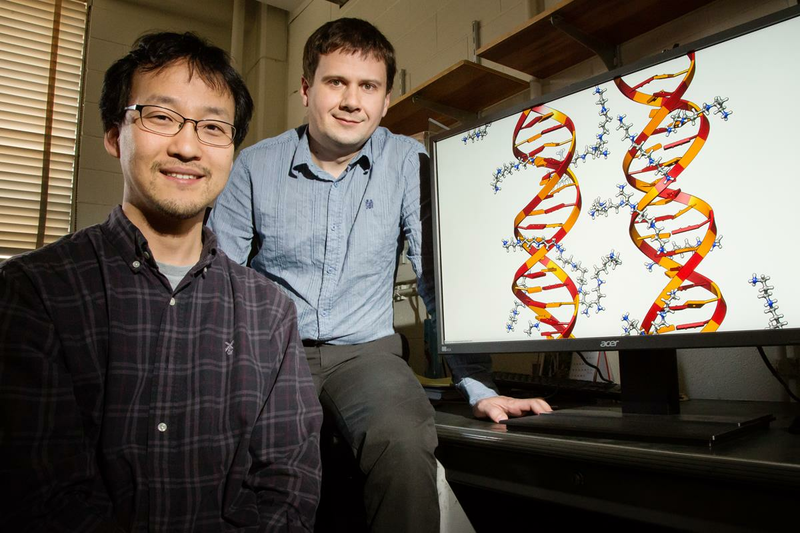 The laboratories of Professors Aksimentiev and Ha have uncovered the secret to DNA-DNA interactions in their latest Nature Communications article. Using molecular dynamics simulations and single molecule fluorescence resonance energy transfer, the authors directly demonstrate that double-stranded DNA molecules interact in a sequence-dependent manner that does not require the presence of proteins or Watson-Crick strand exchange. Additionally, the measured attraction involves DNA methylation instead of a previous hypothesis involving sequence homology. The methylation of certain nucleotides result in a stronger association between strands, which likely affects gene expression. To read more about this work, you can view the original article here or read a featured interview with Aksimentiev and Ha.